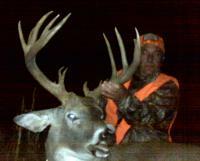 Come to Stafford, Kansas for some of the BEST Whitetail Deer and Turkey Hunting in the nation. 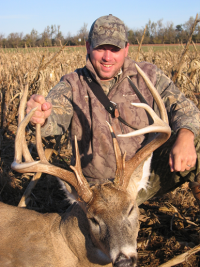 Owner and Guide , Troy Bartlett, is a lifetime resident of the area and has been hunting the area since a young boy. 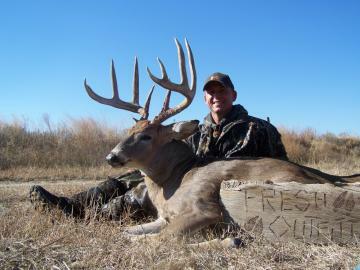 Troy’s hunts have been featured on the Primos Hunting Show “Speak The Language”. In addition he has been included in “The Truth” series DVD’s by Primos for both deer and turkey. 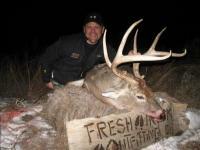 This deer was killed with a muzzleloader and had a gross scored in the low 180's. 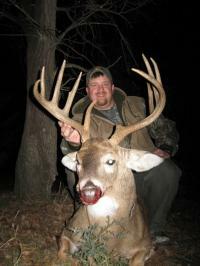 This deer was taken with a bow and had a gross scored in the mid-170's.